Jan Wong has been living off her words for the past four decades. The Montreal-born journalist majored in Asian studies at McGill University and at 19 moved to China, becoming the first Westerner to study there during the country’s Cultural Revolution, an experience that became the subject of her first book Red China Blues. 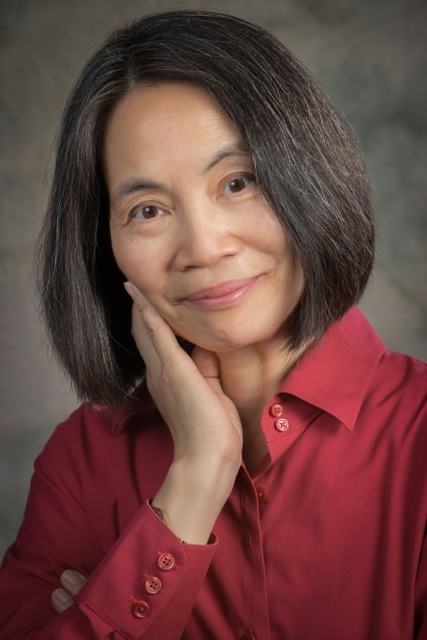 Wong has been a news reporter, columnist and author, with her byline appearing in some of North America’s most prestigious publications, including the New York Times and the Globe and Mail. In 2006, Wong’s life–both personal and professional– took a dramatic turn. Her story about a shooting at Dawson College in Montreal sparked controversy, leading to a strong backlash from readers, which resulted in her being fired from the Globe. This event led to a long lawsuit between Wong and her former employer, eventually leading her into depression, a story she tells in her most recent book Out of the Blue. Wong is currently a columnist for the Halifax-based newspaper The Chronicle Herald. She is also a journalism instructor at St. Thomas University in New Brunswick. I was part of Wong’s first class at St. Thomas and will never forget her lectures where she taught us the importance of asking hard questions, finding strong characters, and knowing the subtle but very real difference between percent and percentage points. Take me back to the time when you first considered writing as a career path. I guess it was when I was in my 20s and I was still in China. I had gone to China as an undergrad and then a graduate student and I think I began to look at writing as a job once I finished at Peking University and got a job in Hong Kong working on a magazine. It was a start-up and it didn’t last very long. The magazine folded I think in a year and then I came back to Beijing and got a job at the New York Times. That was the period when I thought it was possible to do this for a living. What was it about writing that you were drawn to? Well partly I couldn’t do anything else [laughs]. Really, I wasn’t good in science or math and those seemed to be the subjects where you could actually find a job. So when I began to get jobs in journalism and it seemed possible that someone would actually pay me to write, I thought I could maybe earn a living this way. Also it was so much fun to write. It was like not even working. It was as if somebody was going to pay you to run around and find things out and then sit there and have a lot of fun writing about it. I just thought it’s amazing that someone would pay you, because so many jobs are terrible. How much of a successful writing career is based on opportunity or being in the right place at the right time? I think being in the right place at the right time is about 50 per cent of success. That sounds like “Oh well then you have to be lucky,” but I think that you create your own opportunities for success by being in the right place at the right time and going places, taking chances and taking risks and being prepared. So, yes, you have to be there, but you’re there. And why are you there? Because you decided that would be a good place to be. So the luck is partially created by your self. And you have to be ready to jump on opportunities. Many new reporters struggle to consistently pitch new ideas to their editors. How do you find stories? What in your opinion makes a good story? I understand what it’s like, because when I was a student at Columbia, I was desperate. I think we had to file a story a week, I don’t remember, but I was desperate and I thought “I can’t think of a single story.” I’d be looking all over the place and I couldn’t see any stories. I thought I’m never going to be able to do well in this field, because I can’t find any stories, but what I found is that there are stories everywhere and you just have to hone this antenna. For a journalist, just imagine you’re growing an antenna out of your head and that’s a story antenna. And everything you see or hear, your antenna might start buzzing and it’s that antenna that people have to start growing. Is your process of finding story ideas different when you are writing books? It’s the same kind of idea. Everything you see in life, everything you react to, may be useful in the book that you’re working on. So right now I’m working on a sequel to Out of the Blue. And it’s what happened after my book came out and the Globe and Mail came after me. And as I’m reading other things and thinking about things and hearing things, it’s all soldered. You don’t just work in a tunnel when you’re writing a book; you’re the same as the reporter. When you read you’re never passively reading. When you watch a movie you’re never passively watching it. You’re always going “Wait a minute, I can use that.” I can take that idea and develop it in another way, with another angle. In what way do you think a writer’s work (including your own) can be inspired by life experience? Well they always say write what you know, and I think that’s very true. In my case I tend to write about my own experiences rather than profiling someone or writing a biography. My sister asked me, “Why do you always write about yourself?” It made me think, why do I? And I think the answer is because really interesting things happen to me. That’s why. If nothing interesting happened to me, I think it would be challenging to write a memoir about nothing happening. But if something interesting has happened to you, then that’s great material and you should run with it. One of my role models is Nora Ephron, who wrote about things that happened to her. I think Nora Ephron is the one who made me understand that everything that happens to you–especially the bad stuff–makes for great material, and you should always use it if you’re a writer. So that’s what I do. Was that part of the motivation behind your book Out of the Blue? I fought and fought and fought and I got the right to speak and to write this book, so that was important, because I had been under a gag order by the Globe ever since the story that sparked it, which was the shooting at Dawson College. It wasn’t symbolic, it was very real freedom of speech, very real freedom of expression that I won. The second reason was that I felt that this mental illness, depression, was so under-reported that it was really important to write a first-person story about a workplace depression, because it looked like no one else had. I’m pretty sure there’s almost no other memoir like that. There are memoirs about the topic, but not by somebody who went through it. And there are memoirs about people who go through depression, like Margaret Trudeau, but there was nobody who was an ordinary employee in an organization who went through it and had to battle the organization, so I thought the book was very important. The third reason was that it was actually a very important way to get over it, to be able to write it and to see the patterns, to see what happened, which you can only do if you write. If you don’t write, you don’t really understand an experience. It’s just a jumble and you have sporadic memories of this or that and sometimes you can’t get over it and sometimes, like PTSD survivors, you just want to bury it. So I think the act of writing a book about something is very very wonderful. It’s such a privilege for a journalist. And I feel very sorry for people who go through trauma but can’t write, because they can’t really process it. Is there anything about a career in journalism that makes people more vulnerable to things like workplace depression? Nobody seems to really know. Depression seems to be across the board, but it is also triggered by stress. We do know this. So I would say yes, journalism probably has more incidents, because the job is very stressful, just having deadlines and meet a quota, an output. But of course the adversarial aspect, that is hard. That takes its toll and then of course you end up covering a lot of bad news, a lot of accidents or death or hardship. And I’m not even talking about people who have to go to war zones. So, I think there’s probably more in journalism. We don’t have any statistics on journalists and clinical depression, but I bet it’s a lot. But if you know about it, then you can take care of yourself. You can be prepared. For me, there was no preparation because I had no idea what was going to happen. So the preparation of course is to have a life and to take care of yourself and to be able to say “No, I’ve done enough, I can’t do this.” That is the awareness. But I didn’t have it, because I didn’t know. I felt there was so little written about what depression was. I mean even now I don’t think there are many books about it. What advice would you give to journalism students who are about to start their careers? They have to get a whole bunch of skills that other people don’t have. It would be good if you had a foreign language or, at the very least, French. That helps. You have to know things about the world, so if you’ve had some kind of interesting job or if your background is poverty, that’s great. And then of course you have to read, read, read, read, read. You have to basically know everything. I’m still forcing myself to read almost every article in the New Yorker whether I want to or not. It’s like endless, right? It’s a weekly magazine and some of their articles must be ten thousand words or maybe 15 thousand words and I’m reading it partly because I feel like I have to know everything. You can’t not know everything when you’re a journalist. You must have some basic knowledge about everything, so that you’re not a total idiot. Take economics courses if you can. Take something like history so you know about one aspect of the world–Middle East history or African history–something that is out of your comfort zone. And speaking of comfort zones, I’d just make a conscious effort always to scare yourself and try something that you know you know nothing about. Just jump in. Stephanie Kelly is a non-fiction writer from Prince Edward Island. She enjoys long-form journalism, broadcast reporting and believes a story is only as good as its characters. She is in her final year at UBC’s Graduate School of Journalism.